Summer has almost come to a close and Labor Day weekend is just around the corner, which means one Hendricks County tradition is about to commence. North Salem Old Fashion Days, a three-day event from Aug. 30-Sept. 1 in northwest Hendricks County, will bring back all of its old traditions and introduce a few new ones all while greeting you with a smile and ushering you in for a weekend full of food, fun and lively entertainment. A smorgasboard breakfast kicks off the festival at 7 a.m. on Saturday at the United Methodist Church on Main Street. At 11 a.m., you can&apos;t miss the Old Fashion Days Parade, the largest parade in Hendricks County. Be sure to bring a sack for the kiddos as candy will be aplenty and plan to come early as parking will fill up fast. After the parade, make sure you take a gander down Main Street. New this year will be a zip line. Imagine yourself zipping down Main Street above the crowd. This featured attraction will open at 1 p.m. and will be available Saturday only. Tickets are $7 a piece and can be purchased at the MC stand. Another draw for Old Fashion Days is the truck, tractor and horse pulls. Take the shuttle to Machinery Field to see antique tractors on display. The truck pull will be at 3 p.m. Saturday. 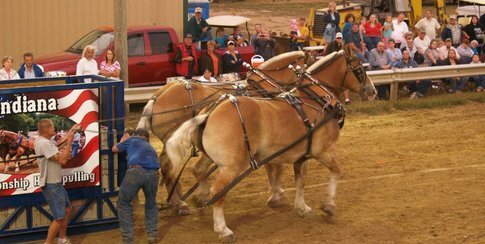 Then the Kiddie Tractor Pull, which is always a fun event to watch, and the horse pull will be Sunday. The Kiddie Tractor Pull begins at 2:30 p.m. and the heavyweight horse pull at 6:30 p.m. Shuttle rides are 50 cents. The entire weekend is full of live music, too. There will be a gospel sing, a local rock and roll cover band Thunder Brothers will perform as well as a band called Mojo Dumbo featuring zydeco music. 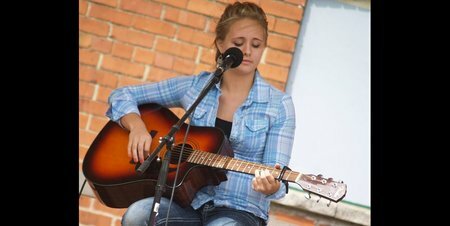 New this year will be an accoustic stage that will be open for anyone wanting to display their talents. Bring that guitar or other instrument and sing a song. The accoustic stage is located in the park next to Machinery Field. Downtown North Salem will be lined with food and craft vendors and on Sunday and Monday mornings you will definitely want to check out the farmers market. The biggest yet, locals will line Main Street selling the fruits of their labor. You will want to get there early, because goods are going to go fast! The weekend will also include a pie contest, corn hole tournament, a pizza-eating contest, a bed race and new this year, an outhouse race. What? You don&apos;t know what an outhouse race is? Well, then I suggest you plan on going to the 39th Annual North Salem Old Fashion Days to find out. I&apos;m sure you will not be disappointed! For a full schedule of events, click here.